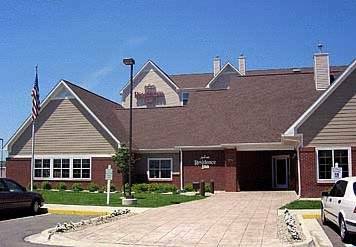 At the Beavercreek Residence Inn by Marriott, we have perfected the extended-stay experience by combining all of the comforts of home with our passion for making every guest feel welcome. Enjoy our complimentary Hot breakfast buffet every morning and our Evening Mix on Mon-Wed evenings. Whether you are here for business or pleasure, short or long term, our 100 smartly designed and smoke free spacious suites with fully equipped kitchens provide you the space to work, live and relax. When you're finished unpacking, explore more than 200 shops, fine and casual dining establishments all within walking distance of our hotel. To work out the days stresses, enjoy our heated indoor pool and fitness room open 24 hours a day! We are located within minutes of Wright Patterson AFB, The Ervin J. Nutter Center, Wright State University and the Soin Medical Center. Upcoming promotions and events include DAU & AFIT classes, Hamvention and the Adidas Warrior Soccer tournament.